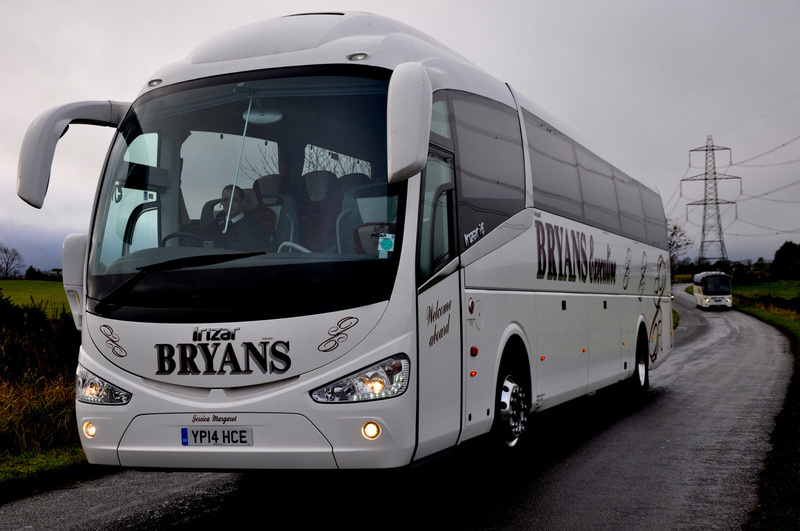 Bryans Coaches operates modern, state of the art coaches – built with comfort and safety in mind – all our coaches are fitted with seat belts. From 33 seaters, complete with luggage space – ideal for golf outings through to a massive 70 seats – in one coach…ideal for school / college outings. All our drivers are smart in appearance and behave in a professional manner. All our drivers are fully disclosure Scotland checked. Keep up to date with latest news and status updates. We often use Facebook and Twitter to post about potential delays and the latest offers we have on for day trips. Bryans Coaches was formed in 1981 by William Bryans, who is a mechanic by profession. Starting out with an old 16 seater minibus, William has never looked back, still keeping the running of the company within the family; hiring several staff – Bryans Coaches now boasts state of the art modern coaches, and service buses with a fleet approaching 22 coaches and buses in peak season of all shapes and sizes.